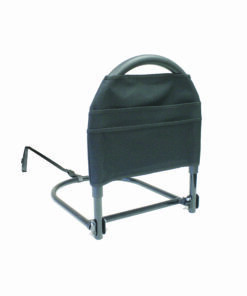 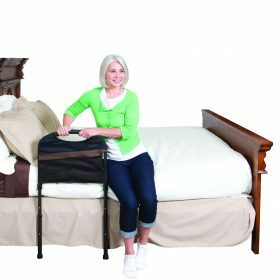 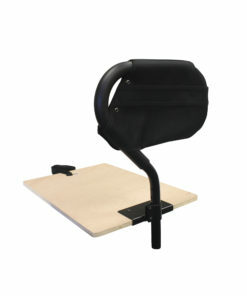 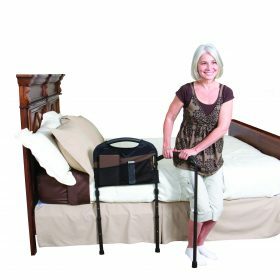 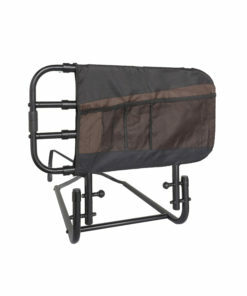 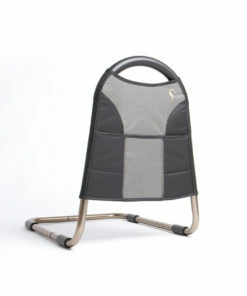 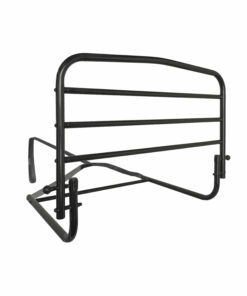 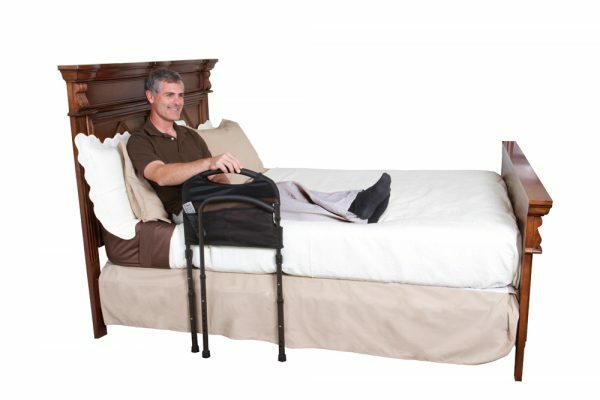 The Mobility Bed Rail has an extra pivoting arm to provide extra support while walking or transferring to a wheelchair. 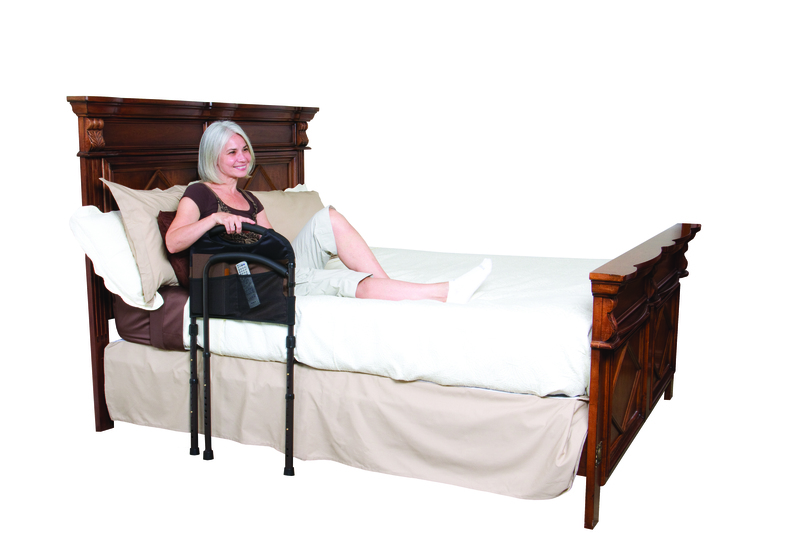 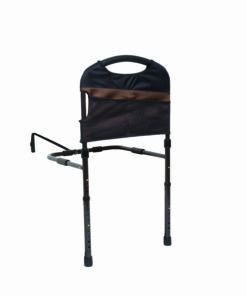 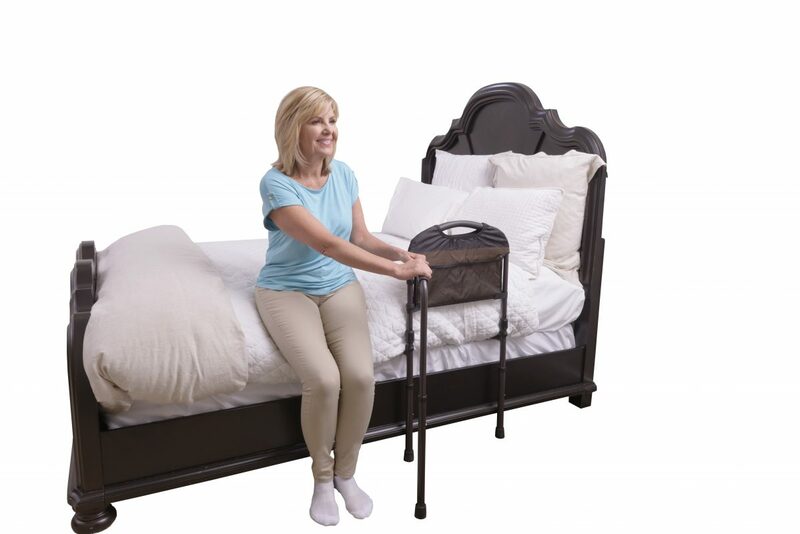 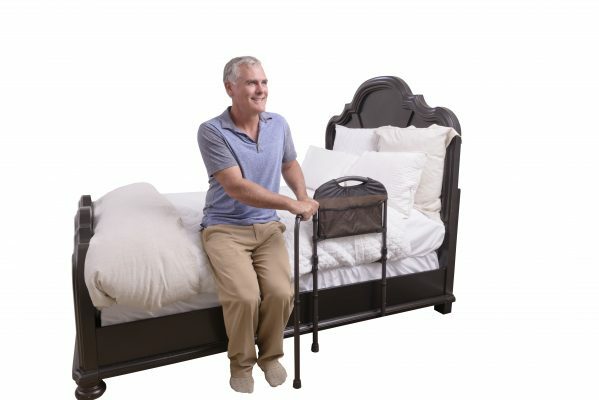 The legs that extend to the ground for extra stability while standing, and the half-size bed rail prevents nighttime falls (click for full-fall protection). 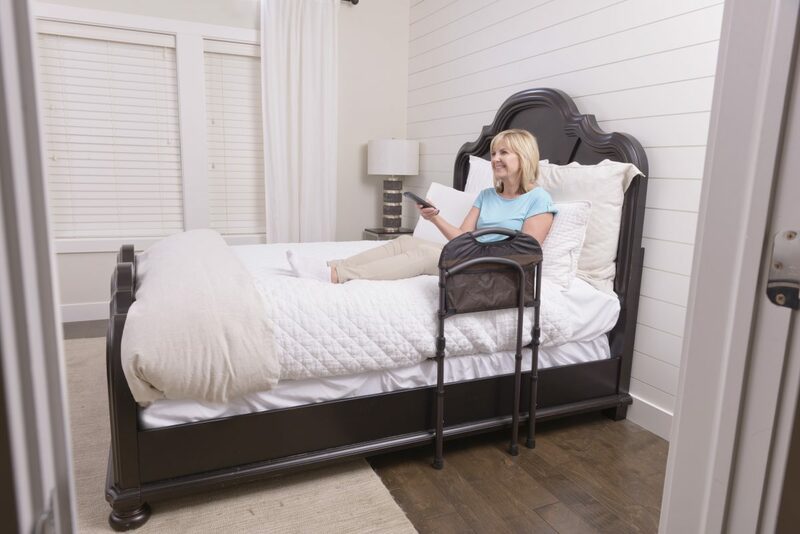 And like all of our products, it blends in with your bedroom – like another piece of furniture – to maintain the comforting feeling of your home. 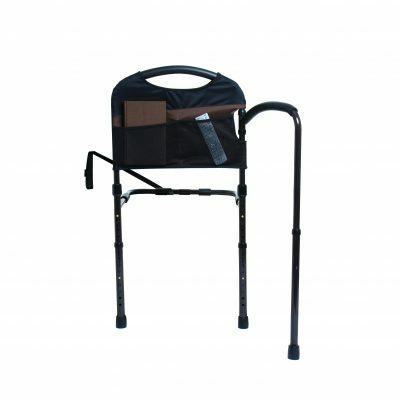 Case of 4 Dimensions: 24.25″ x 16.5″ x 11.5″; 49 lbs. 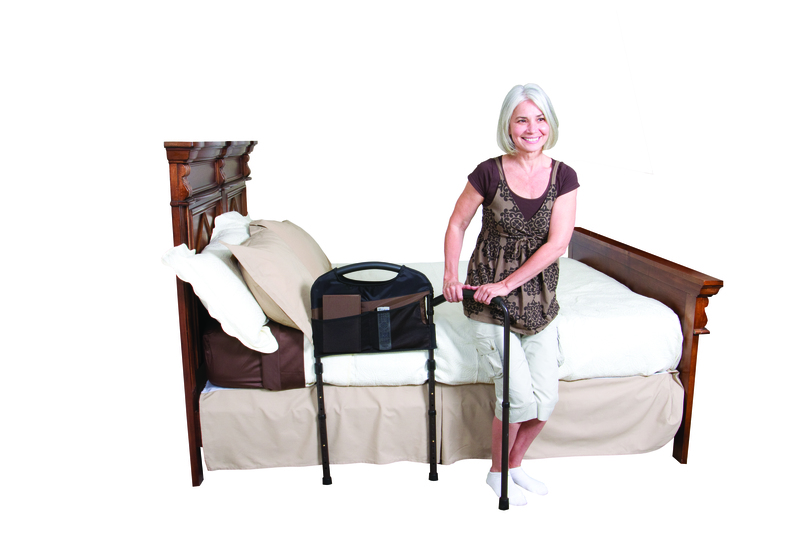 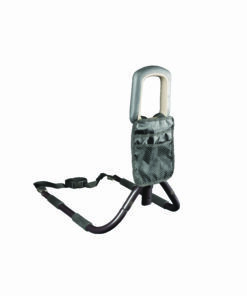 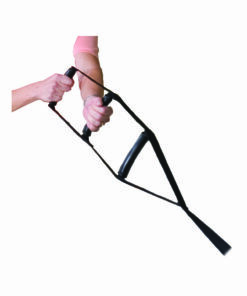 Swing Out Mobility Arm: Pivots outward to provide improved walking stability. Extendable Legs: Provides added stability when standing up. 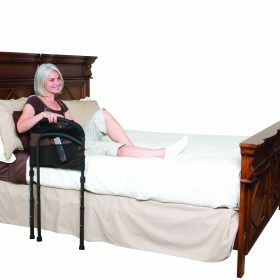 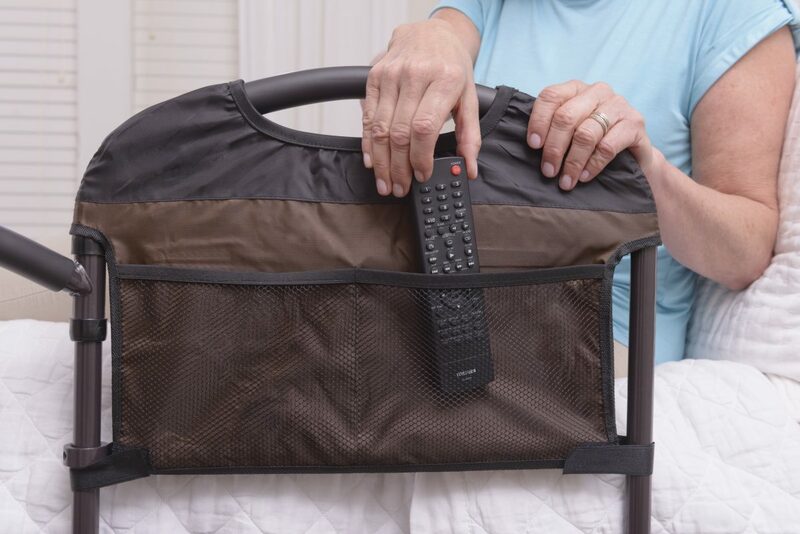 Ergonomic cushion Handle: Allows for easy transfer in and out of bed. 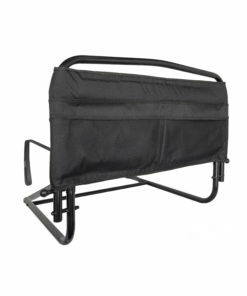 4-Pocket Organizer: Provides storage space for handy items. Anti-Slip Grips: Secures rail in-between mattress and bed frame. 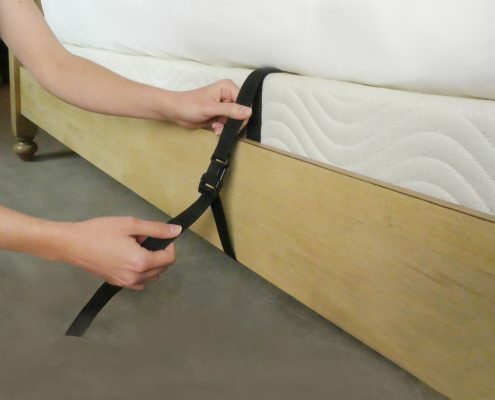 Height Adjustment: Fits 8″ to 18″ mattress. 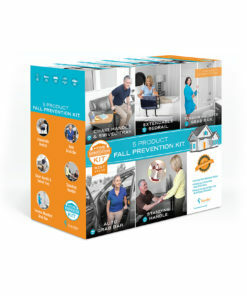 Easy Installation: Installs in seconds with no tools required.